Hello and Welcome to my blog! I finally decided to start my very own blog to share my crafty creations with other like minded people like you. I hope that you enjoy what you see here and that perhaps it inspires you to create your own unique projects! For my very first shared project I am showing a Valentine's Day card I made using Graphic 45 paper. I used C0re'dinations Cardstock to show the embossing detail in the outer corners and the sanded outer edges. 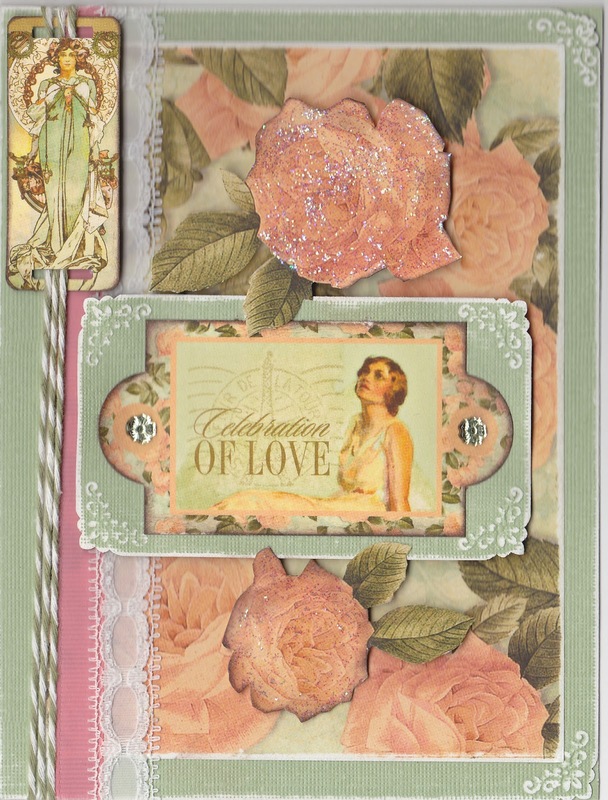 The roses were fussy cut, painted with glitter, ink distressed and adhered with raised foam tape. Two floral green gems were used on the front adornment. The card was finished with white lace, pink ribbon and green/white baker's twine. I hope you liked my presentation and come back often to see what's new for more inspiring ideas! Awesome start Barb! I look forward to seeing what you post! 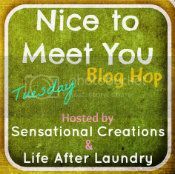 Welcome to the world of crafty blogging! I look forward to seeing what you create.